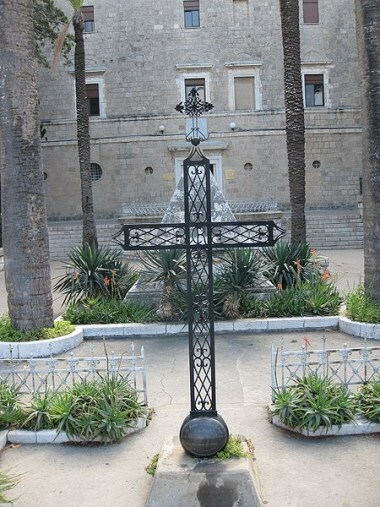 Stella Maris Monastery Mount Carmel gained religious sanctity namely due to the character of Prophet Elijah who, according to the bible, fought on Mount Carmel against prophets of the Baal (Canaanite deity). 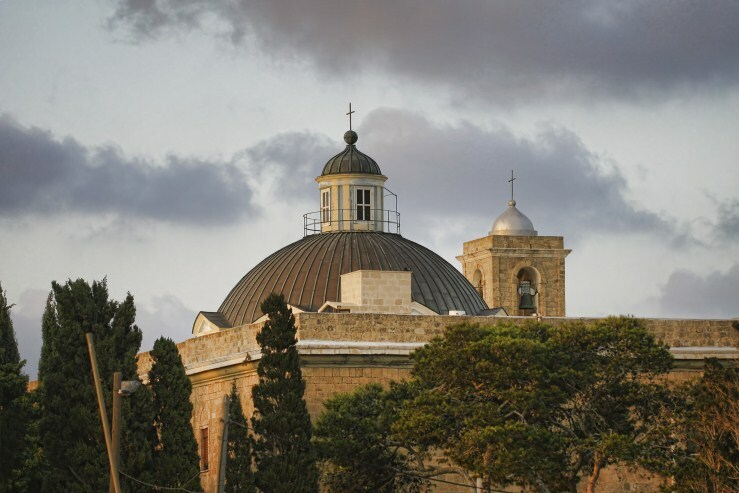 According to tradition, Elijah hid in the cave at the slopes of the sea star ridge ; nonetheless the Carmelite Christians had sanctified an additional cave at the top of the ridge and erected a large monastery above, which constitutes their world centre.At the late 12th to 13th centuries, the Carmelite Order was established on Mount Carmel , but had to leave Israel toward the end of the 13th century due to pressure severe by the Muslims. 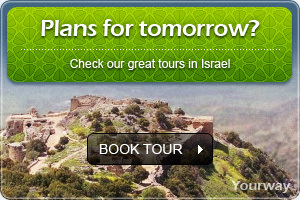 During the Ottoman reign over the country, the return of the Carmelites to Israel was sanctioned. 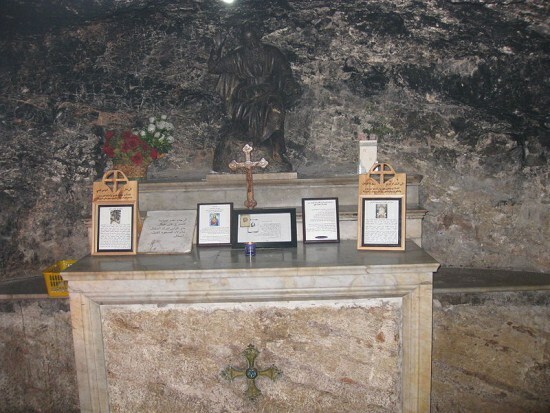 An agreement between the Vatican representative and Emir Turbai (local ruler of the Carmel region) concluded that the Carmelites will be given the cave of Prophet Elijah and the holy summit. The agreement brought about intense objection on behalf of orthodox or Greek monks who were in charge of the holy summit and the Darwish Muslims living in the cave. But despite the difficulties, the Carmelites had managed to hold on to the holy summit above Prophet Elijah's cave for a period of 140 years. 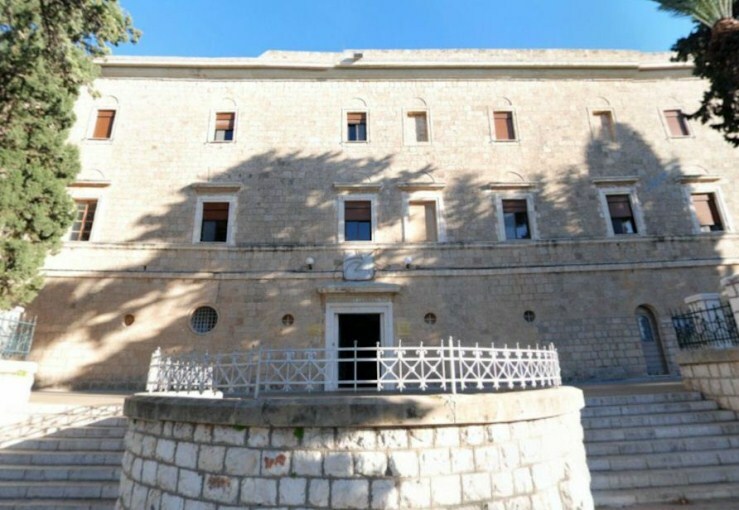 The large monastery known as the Stella Maris monastery was destroyed and rebuilt several times until its final establishment in 1836. 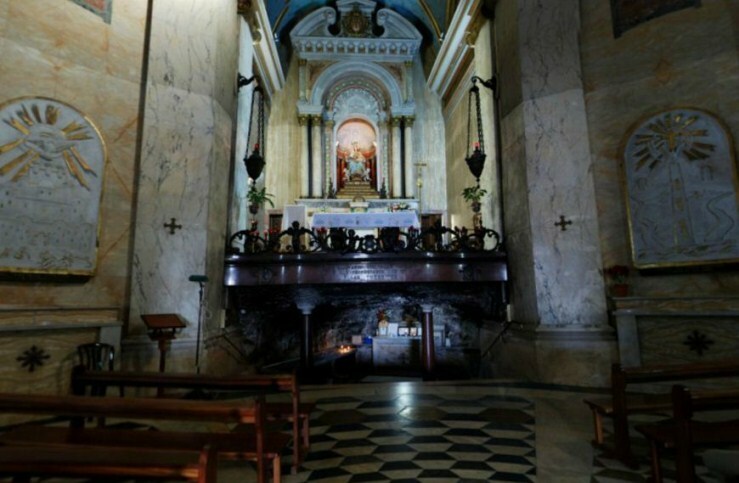 It serves as the world centre for Carmelites.In 1836, the monastery was inaugurated and became Haifa's most important and splendorous establishment. The place included a medical centre and pharmacy, which helped the local population.The most beautiful pilgrimage inn in the country also operated in the framework of the monastery. During the erection of the church, monks were assaulted by their neighbors and had to defend their property and the church guests. As a result, the monastery's ground floor is built out of thick walls with few and small openings covered by bars. The monastery's main hall is luxurious and resembles the shape of a cross. 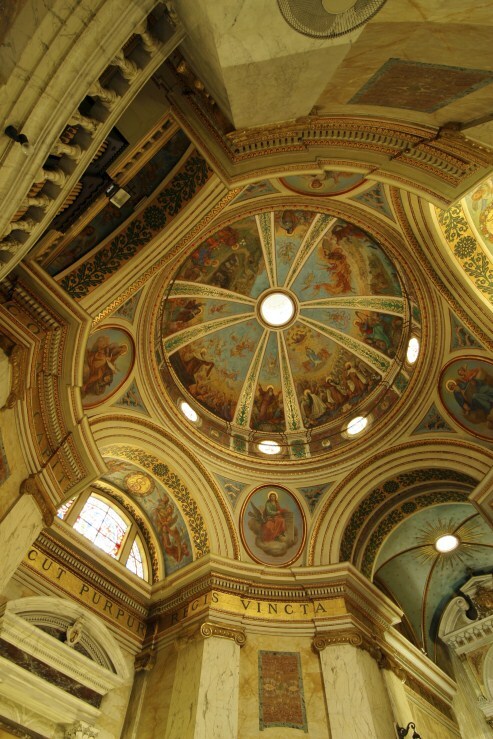 The ceiling of the hall is roofed and decorated by colorful paintings based on motifs from Old and New Testaments: Elijah rising to the heavens, David strings his harp, the prophet Isaiah, the holy family and the four evangelists. 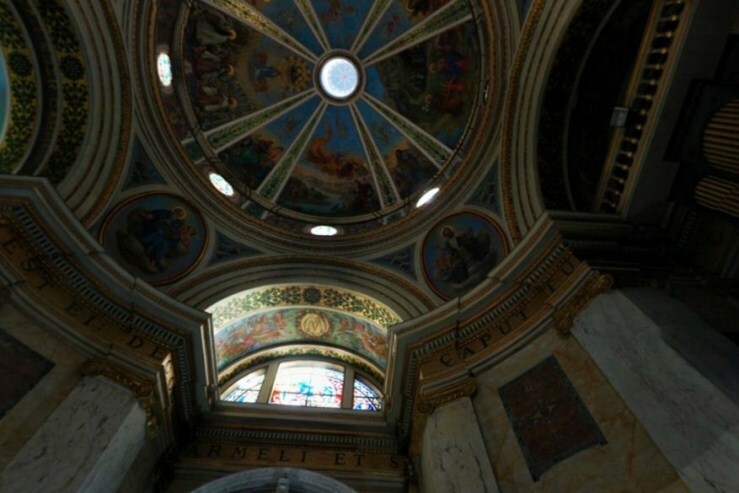 Latin inscriptions of biblical verses are written around the roofed dome.Above the altar stands the statue of the Virgin Mary carrying Jesus on her knees. The statue is called "our mistress the Carmel." 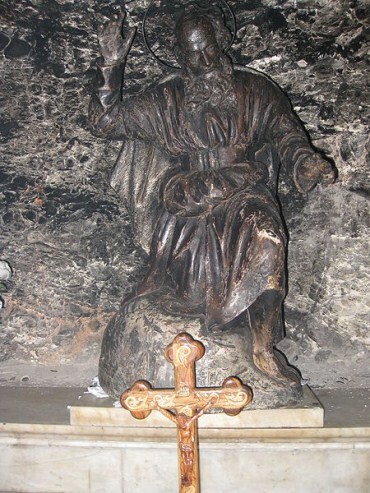 The platform stairs lead to a quarried cave in which a stone altar was built on top of the statue of Elijah. New embossments dedicated to Carmelite figures are hoisted on all four corners of the central hall. At the western wall of the church is a large organ that is played in religious ceremonies and special concerts dedicated to church music.The church is open all week and entrance is free of charge.